I was supposed to be working on a rather heavy and bureaucratic translation from Danish into English so was doing everything in my power to procrastinate. Eventually, for want of something better to do, I joined Marcel in the TV room. He happened to be re-watching the US series 'The Office' and was on one of the first few episodes. I'm not much of a TV watcher so had never seen either version of The Office. I lay on the couch chatting to the two biggies and at least three episodes passed in the corner of the room. I was surprised to find there was a character named Phyllis (ironically played by someone who is really called Phyllis - the poor besom has no escape!). She was plain, overweight, frumpy and in her early 60s. That seemed fair enough, appropriate in fact. It set me to thinking. When I was growing up, no one seemed to be called Phyllis. No one my age anyway... There were a few Phyllises on my horizon. 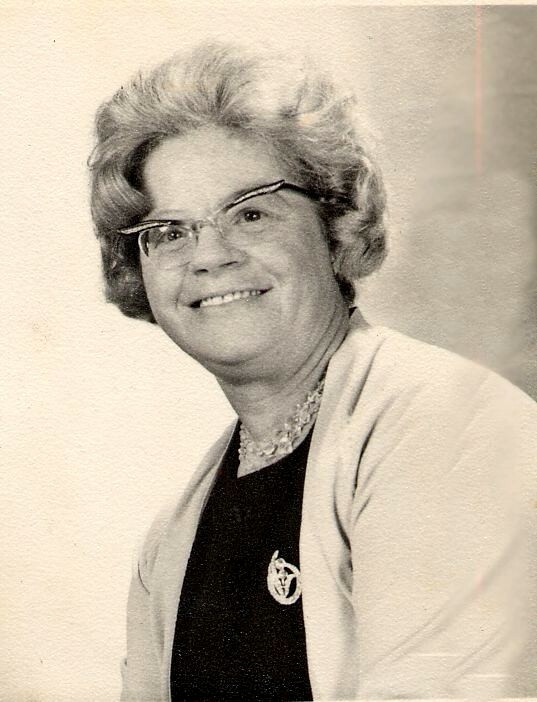 Firstly, of course there was my grandmother: Phyllis Buchanan. That Phyllis was dead so although she was meant to mean something to me, she didn't really. It isn't that I was callous. I was a child and I had never met the woman so she was a stranger to me - a stranger on a photo who looked middle aged with serious glasses and short, thick hair, nothing more. When I mentioned that woman's name, my dad looked sad. My grandfather was also sad and distant. I barely knew him either. I always felt he looked at me as a symbol that reminded him of a sad time in his life. That was unsurprising. She had died five days before my birth, presumably she had been buried within hours of my birth and I had been given her name to honour her. My parents were just 23 and 24 at the time - children really, so as the middle-aged adult I am today, I hold no animosity towards them. Having had Marcel six months after the death of his grandfather, at a considerably older age (and with the full knowledge and experience of a legacy name), I know how hard it would have been not to call me Phyllis even six months later. To think straight when only hours separated the death and birth must have been impossible. So there was granny Phyllis (above). The other two Phyllises I remember when I was growing up were: Phyllis Diller - she was on TV occasionally and my other gran would watch her. And Phyllis (whose surname I never caught): a fictional character in her 70s on the long-running soap opera Coronation Street. My own family were not Corrie watchers, but almost everyone I knew did watch it. I knew she was old with a blue rinse, but I never worked out whether she was a sympathetic character or otherwise. So I grew up with three reference points: a woman born in 1910 and two born in 1917. Phyllis from The Office seems to have been born in 1951. I was born in 1968.
but Phyllises were middle-aged, plain and frumpy. So although I was young, thin and pleasant-enough looking, I felt plain and unattractive because that is what Phyllises look like. 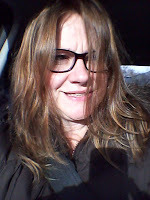 As a middle-aged woman now, I can see I was not particularly frumpy, but I felt frumpy then because I felt Phyllis-y! 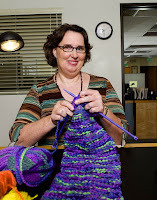 When I watched The Office last night and saw Phyllis, I suddenly realized that the reason I am becoming more comfortable with being a Phyllis as I reach my late 40s is probably because I am growing into the roll. I will one day reach an age that corresponds to my name! There is sadly no longer a huge gulf between the characters with that name and the face I currently see in the mirror and that makes me strangely more at ease with the persona I am meant to portray to the outside world. On a bad day, in my reading specs, I could almost pass for a Phyllis. I guess I have spent a lifetime growing into my name and although I will probably never like it, I at least am slowly starting to suit it. 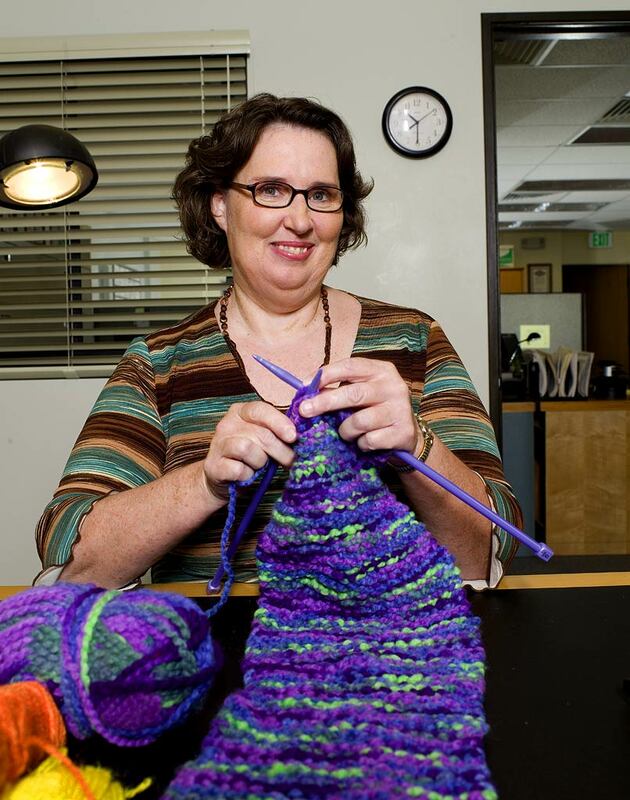 It took seeing The Office to help me realize that my problem wasn't my name itself but the fact that I never met a Phyllis of my own age. Phyllis is actually a pretty enough name, it is the fact that it has been defined by the outside world as old, unattractive and boring that has been my problem all along. I think I'd have coped better with it if I had ever met a Phyllis of a different generation, younger or older, but the fact that a Phyllis was never under 60 didn't really sit well with me till now. I needed a name that was so unique there were no preconceived notions around it, or a name that you met often enough to have no fixed idea of. But I think when asked to describe a Phyllis, you'd probably come up with Phyllis from The Office! So who knows, 15 years from now, I may be very happy to be a Phyllis!